It’s 5:30 a.m. and my 7th child is banging on his door because he is ready to start his day! The poor lad has not quite figured out how to turn a knob yet and I am not sure if I should be happy or sad about that. LOL. I go to jump up and attend to him but of course, it’s Mother’s day and my husband is trying very hard to beat me to the punch! Back to bed I go hoping that sleep will resume but of course it doesn’t, on the only day of the year that I chose to stay in bed! As I lay there I hear the twins awake and I realize that my husband will not be able to nap on the couch so I get up to ask him if he needs help. Let’s face it I am just a Mom and it’s hard NOT TO DO ANYTHING. Then, my personal favorite part, when all of my kids bring me their hand made cards and presents. I get so emotional when I see what they have to say about me. At one point I almost judged myself when I read, “My Mom and I like to…clean and do laundry.” I thought to myself, “OMG, my kid is a workhorse!” But then I realized that it is not true. Peter, my oldest, just started to learn how to do laundry and he actually LOVES it. So when he comes home from school and after playing for a little bit he actually asks me, “Mom, what can I do to help you?” And I say, “Can you go switch my loads?” And he actually gets excited to the point where not only does he switch them but on his own he follows up when the load is done and he brings up all the laundry and puts it in my room. I tell him he doesn’t need to do that but he loves to and I think the reason he loves to do it is because though it is something small it is a lot for me because it helps! And let’s face it Moms even he didn’t help out who knows how long that load would sit in the washer or how many times I would have to re-wash it! Right? Right! So, yeah, I didn’t judge myself. I said to myself that this is something he loves to do so I will leave it at that. Well God was good because I thought the card was over but it wasn’t and in the better card he mentions how I can play football with him and his Dad, how I play baseball with him and well, the list goes on. Whew. I was relieved to know that I was not perceived by him to be the evil Step Mother from Cinderella! After I had all the love in the world from the kids my husband instructed them to leave me alone for a little bit so I actually remained in my bed. What do I do? I actually thought to work for my job but then I thought it’s Sunday and Mother’s day so I decided to blog instead. I love blogging because I love writing. It is therapeutic for me. Instead of just writing Happy Mother’s day! I thought to write a little more. Whoever you are out there…a spiritual Mother, a Mother that has carried a child but lost him or her, a Mother with 1 child, a Mother with 20 children, a Grandmother, a God-Mother, a StepMother this post is for you! 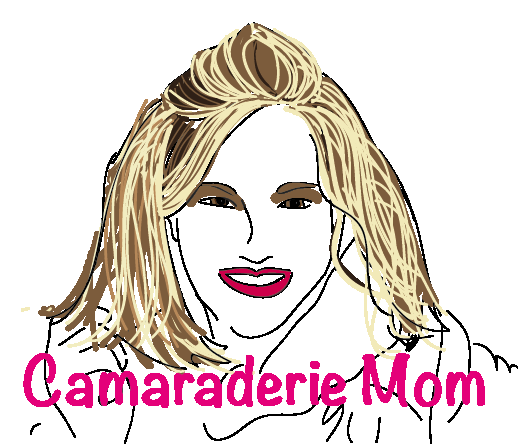 When I came up with the name “Camaraderie Mom” I did it because after the vocation itself, that’s what Motherhood is for me: it’s camaraderie. We are all in this together! Some days it’s GREAT to be a Mom and let’s face some days it’s just plain HARD. But the glory of it, Motherhood, is that we have our Moms and our friends to lean on and well, just plain survive! When you think to yourself about how you do it, how you are a Mom, don’t you think of your Mom or a friend of yours who is a Mom and can relate? I do. Of course our husbands are amazing but Mothers (just as Fathers) are unique. I would be utterly lost without my Mom. She is my world. She is the only person who truly understands what it is like to have so many kids back-to-back virtually without any help. And because of that she is really the only person I know I can count on in any moment of need. It is not that I do not have friends that wouldn’t help me. It is just that I know that my Mom would NEVER be inconvenienced by ANYTHING I ask her. I would never be a bother to her. Why? Because that’s her job as Mother; to be there for her kids no matter how old. And that is how I want to be for my kids too. When we were building the Camaraderie Mom web site I wanted to make sure I included not judging each other but supporting each other. Too often you see Moms who are mean, competitive, jealous and who actually try to sabotage our Motherhood. It is sad and I did not want any of that “energy” associated with Camaraderie Mom. I don’t care if you wear yoga pants all day every day, or if you shower once a week, or even if you look perfect every day. I don’t care. I only care about supporting you and encouraging you because the vocation of being a Mother is very hard and we need all the help we can get! We are all on this journey together and we really shouldn’t waste our energy and time on negative, petty things like fighting about which Mom has the best handmade crafts on Pinterest. It not only does not do any good but it takes away from the most important things in our lives: our children. The smallest gossip will trickle down to our children and not only affect them from a negative energy standpoint but it will also send the message that it’s ok to be like that and you know what? It’s not. 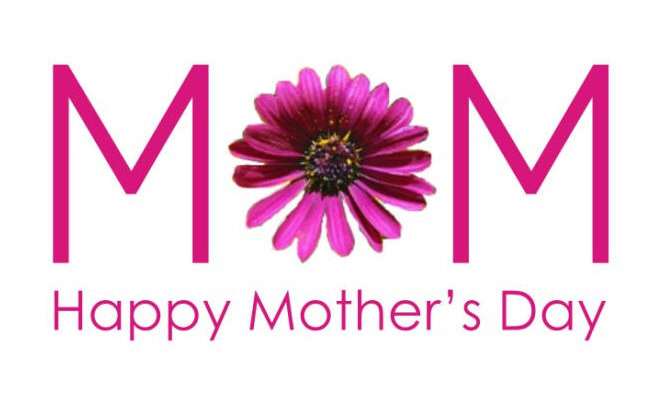 So today, I am extending my camaraderie to you Moms to let you know that you are loved! You are appreciated. Those things you do that no one sees? God sees and your reward will be heavenly! You are not alone. You are supported! When things seem unmanageable you have a whole world of Moms out there ready to say, “Chin up! Keep Going! You’ve got this!” And if they are not around just message me because I don’t sleep! LOL. The most important thing that I have just learned this past year or so is that even though I do not want to stop I have to stop and smell the flowers. These beautiful children of mine are growing up so fast and while my laundry and dirty house will be here forever my kids won’t be. So whatever you do for yourself today try to remember to enjoy that which is priceless and that which has given you this incredible title of Mother: your children! Happy Mother’s day to you Momma! For those of you that don’t know me I have been working since the ripe age of 9, more or less. No lie, I can remember working at a very young age. My Father began his own business at home and I remember sorting papers, making binders, and the like. The best part was I actually got paid for it! Woot. My Mother also used to pay me to deep clean her home and even to give her massages. She would also pay my brother to read big books like the Bible or Gone with The Wind. Unfortunately I did not care about education until well after my first college degree. Had I liked it I would be loaded. LOL. In addition to those odd jobs I did take a real babysitting job at the age of 11 that lasted me through high school and would have lasted me beyond had I wanted to stay there. I also held many retail jobs. So work? Yeah, I am and have always been a workaholic! In my 20s I left the USA and ventured off to Spain for two years where I taught English to children and Adults. It was one of the most rewarding “jobs” I ever had. A job where I did not get paid but I got free room and board. When I returned to the states just after 9/11 I had no idea what I wanted to do. I had a Fashion degree which I got to appease my parents since it was a college degree but at that point I had zero interest in working in the industry. I decided to just apply for any old job. When I was on an interview the hiring manager told me I was overqualified and suggested I get into a big company like Johnson and Johnson. He suggested I contact Kelly Services which I did and which landed me a job as a temp (contractor) at Johnson and Johnson, go figure! Though I was a contractor at that job I never felt any different. I applied my best as I had done with any job I had ever worked for. But not only did I not feel different because of how I acted I did not feel different because of how my boss and co-workers treated me. They never treated me like “a temp”. Were they more respecting of my flexible work hours? Yes, of course, but temps and contractors have that flexibility that employees don’t have. But other than minor things they considered me a part of their team and if they could have gotten the headcount they would have made me an employee. Funny enough I eventually landed an “employee” position at Johnson & Johnson. It wasn’t with the same group but it was still a great team. Do you want to know what is amusing? For so many years all I wanted was that title of employee but now that I had the title it did not feel any different. The company, my boss, and co-workers treated me the same! Interesting, huh? After some time there I moved on to a fulltime employee position with another company from the comfort of my own home. It was great until they had a reorganization and I got laid off. I took over two years off from Corporate America and it was the best time ever. To get my severance package and yet be available to my children 24/7 365 was sheer bliss. However, my package ran out and bills ran up so it was back to work I went! I eventually ended up as a contractor once again. Being a contractor has so many benefits. To name a few: you normally get paid more, you have more flexibility to work from home, you can usually make up your own days/hours, and though you do “report” to someone you are kinda your own boss! But on the flip side it can have its negatives. For example, you can put 100 or 150% percent into your job and the company you are working for but not always get that back. What do I mean? Very simply and probably non-intentionally you or your skills can be under-utilized. It may sound crazy but go talk to a contractor and you’ll see what I mean! 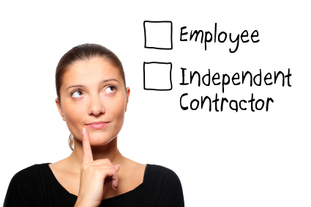 Did you ever notice the types of people who end up as contractors? Some have been CEOs of some of the greatest all time companies. They retire, get bored and decide to be a contractor. It’s great but most of the time their skillset is only being used minimally. The company has one need, the contractor fulfills it and though the contractor can offer the company so much more the company doesn’t ask for anything more so the contractor moves on and likely moves on to the same type of company. It’s fine. It is what it is but when you are used to being squeezed like a lemon for your talent it can sometimes make you scratch your head and/or leave you feeling under accomplished. And then, there’s Motherhood. There is the toughest job in the world! The job that is not contractual nor M-F 9-5 but seriously is 24/7 365 with no vacations, no sick days, and no personal days. Am I being dramatic with that last statement? No, I am not. Why? Because even when we are sick we still have our Mommy responsibilities. Even when we are at a funeral we are still coordinating with the sitter how to get the kids homework done, books read to them, baths taken and in bed on time. And when, if ever we make it, with our toes in the water and arse in the sand, we are still thinking about our kids…are they ok? Do they miss me? Should I call? But if you are a Mom or think of your Mom or a Grandmother of yours you will know that the best job in the world, the most fulfilling job in the world is that of being a Mother. Will you always be needed? YES. Will you always be wanted? YES (even when they say you’re not). Will your role ever end? NO (not even when you are dead; some Moms are more fierce in the afterlife!). Are the benefits good? THE BEST (and last in the next life too, btw). Will you be promoted? For sure (if you are never a GRAND-Mother you will still be a Queen)! Will you actually like your co-workers? YES, you will actually LOVE them! What about Management? Always wanted to be a Manager but never got promoted? Well now you have people “under” you and the best part is YOU TRAIN THEM YOUR WAY (train them wisely)! Will you ever been under-utilized? ABSOLUTELY NOT, in fact you will be OVER-utilized to the point where you will regret ever thinking about that question! Will you remain challenged in this position? MORE THAN EVER! The list could go on. You get my point. Having said that I think that being a Mom is the best job in the world does that mean that I do not want to work? No way. I love working! I love my job, I love my clients, and my companies! I love using that part of my brain. I love using my talent as an administrator. So I hope to take what I have learned from the workforce and teach my children good, solid work ethics because they are the future of tomorrow and it is my job to make them the best they can be so that whatever career they chose to be in they will give it their all and basically change the world! Thinking of what to invest in? Invest in your child today and make the world a better place! You won’t regret it. 100% Satisfaction Guaranteed!